If you've been wearing your natural curls relaxed or straightened but are moving to natural curls; welcome! It's a big transition to go from treated curls to your natural texture, but we know you'll love it. The transition can seem daunting so here are some of our favorite suggestions on how to help make the transition go a little more smoothly. If you're relaxing, dying, or otherwise chemically treating your curls, the time to stop is now. Your natural texture can't come out to shine while it's being suppressed by chemicals. Overuse of chemicals decreases the elasticity of your curls, making it difficult for them to retain their natural shape. As tempting as using a hair dryer or curling iron can be, for now it's best to avoid using heat. Overuse of heat tools can damage your curls, which are most likely already weakened from being straightened. Give your curls time to recover and avoid using heat for the time being. Before washing your curls, make sure you're prepooing to protect your delicate strands. This means coating your strands in a light oil, such as avocado or virgin olive oil, from the mid shaft down to help maintain natural moisture. Sulfates create that delightful lather that makes washing curls oh so fun. However, when it's stripping away all the dirt from your curls it's also stripping away the natural oils and moisture. Skip sulfates in your shampoo and opt for a low lather or no lather shampoo instead. Many curlies often consider cowashing while transitioning to avoid damaging their strands. It's ok to use a protective hair style while transitioning to help your new curls grow in safely. 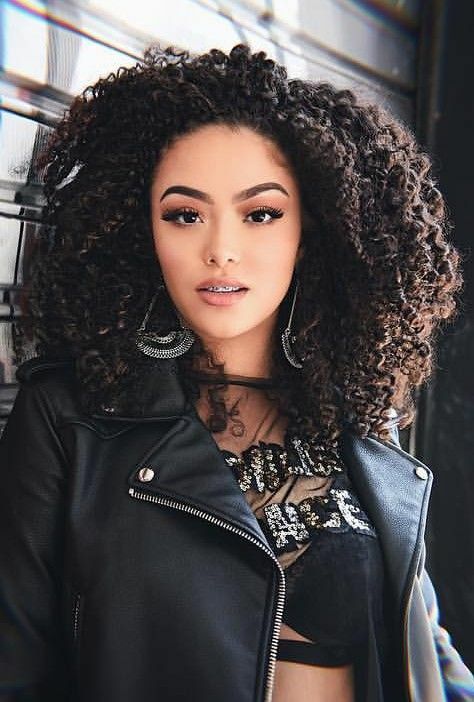 Additionally, you want to think about making sure you're protecting your curls in other ways, such as by moisturizing regularly, using deep conditioning and protein treatments, as well as sleeping on satin or silk. Whether you're going to opt for the big chop and start fresh, or you're going in increments, make sure you're seeing your stylist regularly for trims. Keeping your curls trimmed will avoid damage, which means your curls can grow faster and be healthier. Your stylist can also help educate you on curl care for your curly type.